Secure Access Services has worked with leading companies such as Duke Progress Energy, Gregory Poole Equipment Company, Governor’s Club, York Properties, and the State of North Carolina with their security gate operator needs. Learn more. Your home is your most valuable investment. 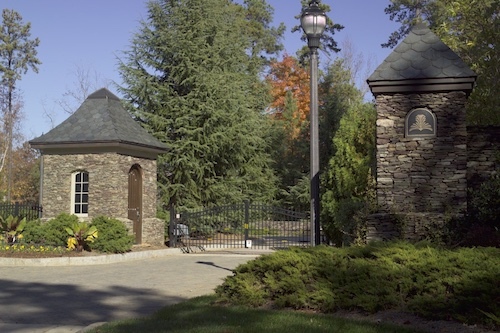 You need a residential gate operator that will keep your family safe and secure. We install and service all major models of residential gate operators throughout North Carolina. Learn More. Self-storage facility operators trust Secure Access Services to install and maintain their security gate operators. See how we’ve helped leading companies like American Flag and Ample Storage with their gate operator needs. Learn more. We have partnered with Secure Access on multiple occasions. Our experience has always been positive and we view them as a valued extension of our business. I would highly recommend Secure Access for any gate operator / control requirements. We have worked with Secure Access Services a number of times and we’ve always have had a great experience. Their technicians come out quickly and they are always so easy to work with. I would rate Secure Access as a top Company to work with! Need Help With Your Gate Operator? Contact us and let us help you explore ways we can help, including a free estimate for your gate operator projects!